Although scholars have increasingly investigated the impact of religion and religious movements on nature, studies of the interactions between Mormons and the natural environment are few. This volume applies the perspectives of environmental history to Mormonism, providing both a scholarly introduction to Mormon environmental history and a spur for historians to consider the role of nature in the Mormon past. Since Joseph Smith’s revelations, Mormons have interacted with nature in significant ways—whether perceiving it as a place to find God, uncorrupted spaces in which to build communities to usher in the Second Coming, wildness needing domestication and control, or a world brimming with natural resources to ensure economic well-being. The essays in this volume—written by leading scholars in both environmental history and Mormon history—explore how nature has influenced Mormon beliefs and how these beliefs inform Mormons’ encounters with nature. Introducing overarching environmental ideas, contributors examine specific aspects of nature and Mormon theology to glean new insights into the Mormon experience. Jedediah S. Rogers is co-managing editor of the Utah Historical Quarterly. He is the author of Roads in the Wilderness: Conflict in Canyon Country and editor of two documentary accounts of Mormon history. Matthew C. Godfrey is the managing historian of the Joseph Smith Papers and previously worked as a historical consultant on environmental issues. He is the author of Religion, Politics, and Sugar: The Mormon Church, the Federal Government, and the Utah-Idaho Sugar Company, 1907–1921. 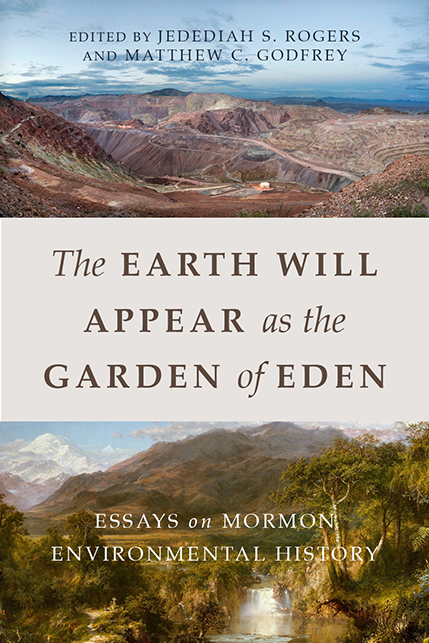 "This felicitous collection deepens our understanding of the changing relationship between Latter-day Saints and the environmental world that here encompasses land, water, habitat, place, and home. A milestone in Mormon studies and a benchmark for future scholarship."